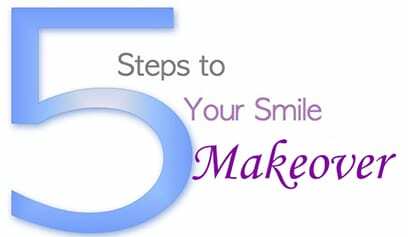 5 Steps to Your Smile Makeover! The Dawson/Pankey philosophy of complete dentistry starts with a thorough oral exam. Our goal of the initial exam is to co discover with you all of the factors that contribute to the deterioration of your oral health and to determine the best method to eliminate each factor. The two main causes of breakdown are bacterial plaque and excess stress. To make your mouth healthy and keep it healthy we must have your mouth clean and reduce stresses. These are the dentist’s responsibilities, and keeping your mouth clean and reporting any uneven stresses are the patients’ responsibility. During the initial exam we may take radiographs, which in our office are digital. Digital radiography is an imaging process wherein the film is replaced by an electronic sensor that captures the image. The image is then presented on a computer monitor within seconds. The image can be viewed in far greater magnification than a conventional x-ray, the brightness and contrast of the image may be altered for additional diagnostic information, and reversed and color images can be generated. Various measurements and analyses can be performed on screen with the patient’s active involvement throughout the whole process. The digital sensors are far more sensitive to diagnostic radiation than even the fastest dental films. This means that a much lower dose of radiation is exposed to the patient when x-rays are taken when compared to conventional techniques. tooth-colored fillings and crowns, formed to exact tooth dimensions in a single office visit. 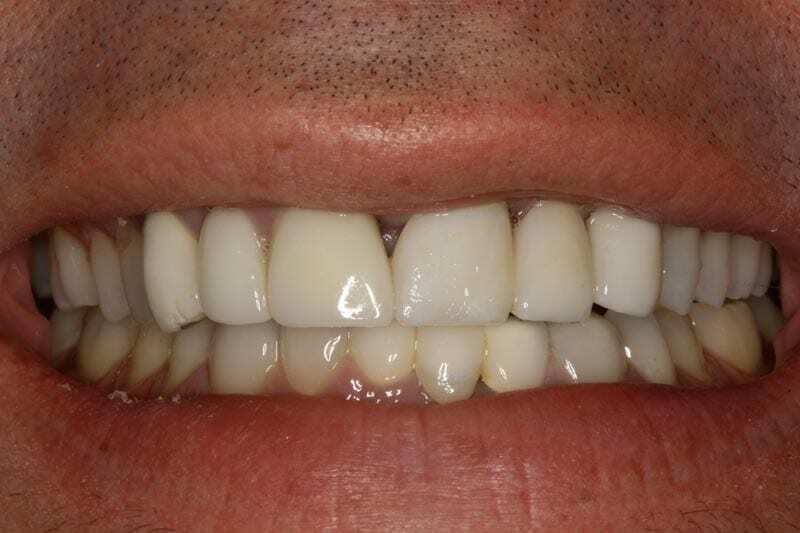 The new approach to tooth restoration is made possible by innovative CEREC CAD/CAM technology that designs and mills a custom ceramic restoration in less than 20 minutes. CEREC is comprised of a digital infrared camera, a medical grade computer and a milling machine, all located on site at the Frank J. Di Mauro, D.M.D., P.C. office. The system allows Dr. Frank to repair a damaged tooth in about one hour using tooth-colored ceramic restorations. The camera takes an optical impression of the damaged tooth, eliminating the need for cumbersome and uncomfortable impression molds, and uploads the image to the computer. Once in the system, Dr. Frank uses 3D CAD (Computer Aided Design) software to design the restoration. Then the CAM (Computer Aided Manufacturing) system takes over to automatically create the restoration while the patient waits. Finally, the new custom-crafted restoration is bonded to the remaining healthy tooth tissue of the damaged tooth. “This equipment greatly enhances the efficiency, accuracy and visual appeal of the restorations we can provide,” said Dr. Frank. “Patients will benefit from more timely and more comfortable care that puts them back on track quickly. 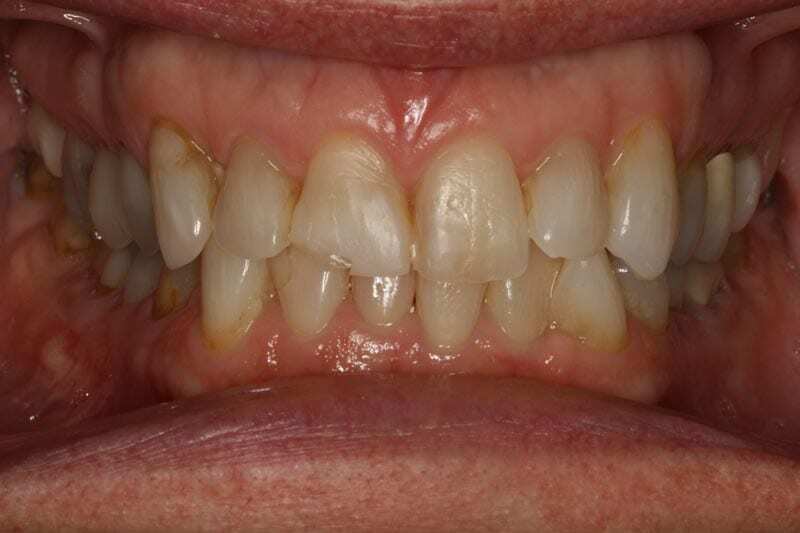 We are optimistic that the availability of CEREC restorations will help some patients overcome their fears when they see how fast and painless the treatment process can be. We believe everyone should have access to their best smile, and CEREC will make that possible for more people. CEREC has over two decades of clinical research and documentation to support the technology. The restorations have been proven precise, safe, and effective, with more than eight million performed worldwide. The television show Extreme Makeover has created a lot of interest in cosmetic dentistry. The before and after views of the extreme makeover have been impressive. Veneers are often the choice for instant orthodontics. Although the procedures look quick on television, planning and dental chair time for extreme dentistry takes time. Planning includes study models, photographs, and x-rays. After gathering all the patients’ information, I meet with the specialists, orthodontist (braces), periodontist (implants and gums), oral surgeon (jaw), and endodontist (root canals), to review all your options for treatment. At a consultation appointment I review all the options you have for dentistry. On a scale from 0 to 100, the closer you want to get a “100″ score the more work will be needed. Prior to starting treatment, a mock-up of the cosmetic procedures is demonstrated in the mouth. When we start extreme dentistry, you will have to visit the dental lab for custom shade (color) taking. At the time of delivery, you have to return to the lab for custom staining. You will not leave the lab until you are 100% happy with your dentistry in all types of light. 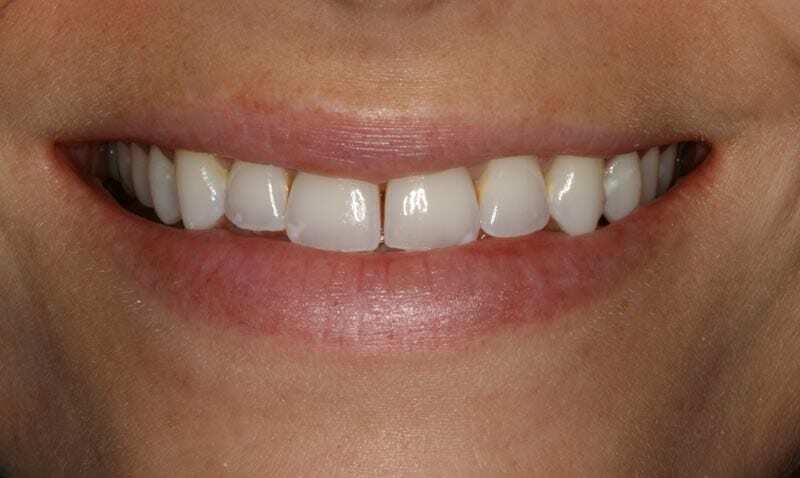 Sometimes veneers and crowns look different under sunlight, florescent light, and bulb light. 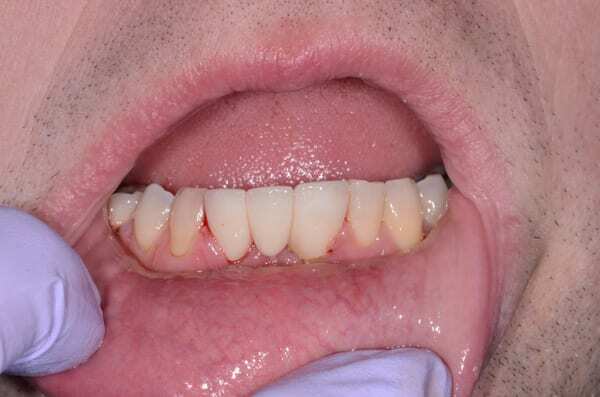 Fine tuning the bite and protecting your investment with a splint/night guard is often needed to achieve a stable and long lasting extreme makeover. Sometimes our extreme makeovers take a few weeks, and sometimes 3-5 years. If we choose braces, they may take 1 – 2 years to idealize the bite. Implants take 4 to 6 months to heal prior to placing a crown/cap on them. Working with you in a cooperative coordinated manner, we can achieve extreme makeovers to make us both proud of dentistry. Meet some real Smile Makeovers! 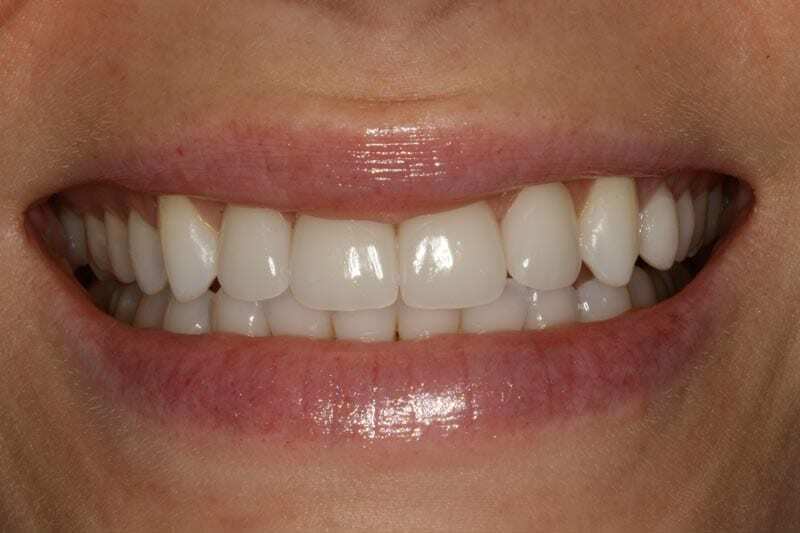 Cosmetic Bonding can provide an instantly beautiful smile. Tooth reduction is rarely needed to straighten crooked or discolored teeth. Cosmetic Bonding is used as a trial for veneer cases. The bonding needs to be maintained at recall hygiene appointments to keep their luster. A crown is a restoration covering the entire prepared tooth. 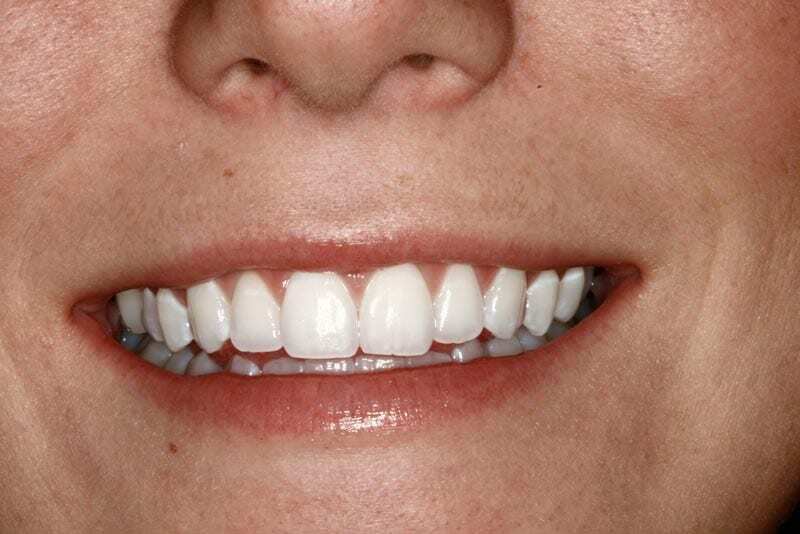 For the front teeth, all porcelain crowns eliminate the dark line associated with older porcelain to metal crowns. We encourage custom shading and staining of our crowns in conjunction with the Dental Laboratory, Advanced Dental Technologies. We strive to make our crowns to look like your teeth, so that no one will know you have a crown and last at least ten years. 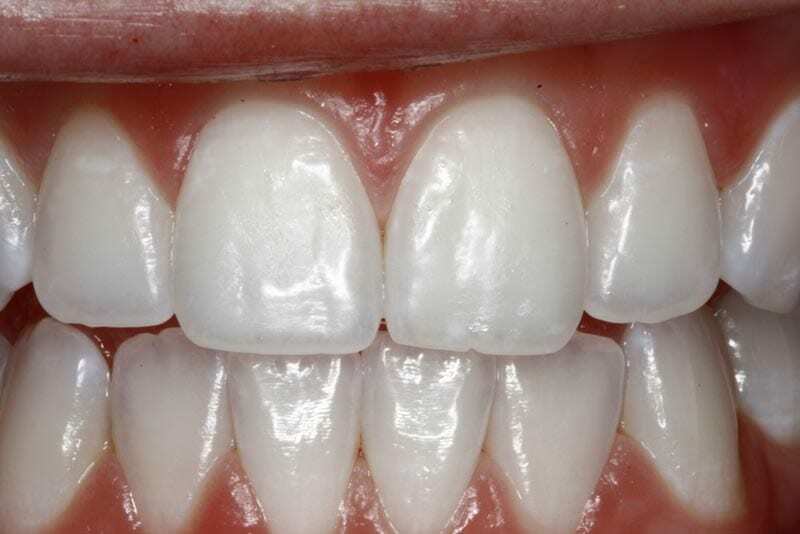 Whitening prior to making white crowns must be considered because crowns do not change color. For back teeth, porcelain to gold, and all gold are recommended based in a patient’s history of breakdown or grinding. 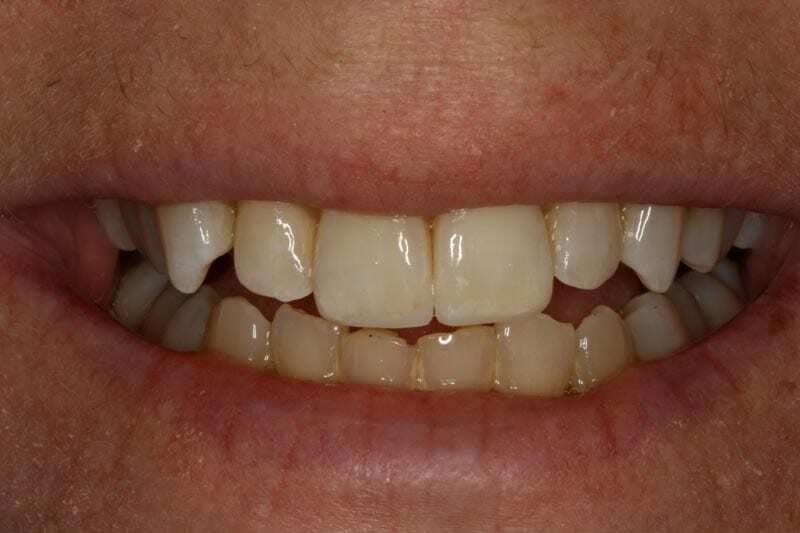 Cerec crowns completed in one visit are an option now provided in our office. The shows Extreme Make-over, and the Swan have generated a lot of interest in porcelain veneers. DAVINCI VENEERS are often the veneers shown. The DaVinci dental lab is featured on these shows. We are excited that our dental lab, Advanced Dental located in Stoneham MA, is associated with the DaVinci dental lab, and provides us with DaVinci veneers. The great advantage of having the Advanced Dental Lab in Stoneham is the ability of the lab to customize your veneers for color and shape. You have the opportunity to visit the lab first to check the colors of your teeth for a custom shade. 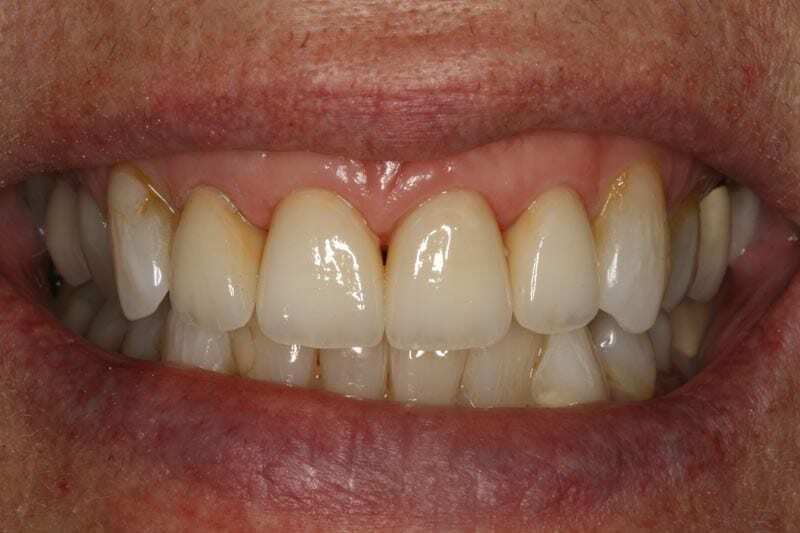 If needed, you will have a custom stain appointment in which the veneers are checked in different lights. These extra steps make the difference. The veneers will look natural to match your own teeth. Often we are asked, “What is a veneer?”. A veneer is porcelain covering on the front and edge of your teeth. It requires less reduction of the enamel than crowns, with the inside and chewing side of the tooth usually left alone. Veneers do not discolor like bonding. The veneer strengthens weak tooth structure underneath. The veneer is also a great option for instant straightening of your smile or instant orthodontics. I will provide you with all your options to enhance your smile. Veneers are an excellent choice to change your smile in usually two visits, and within two weeks. 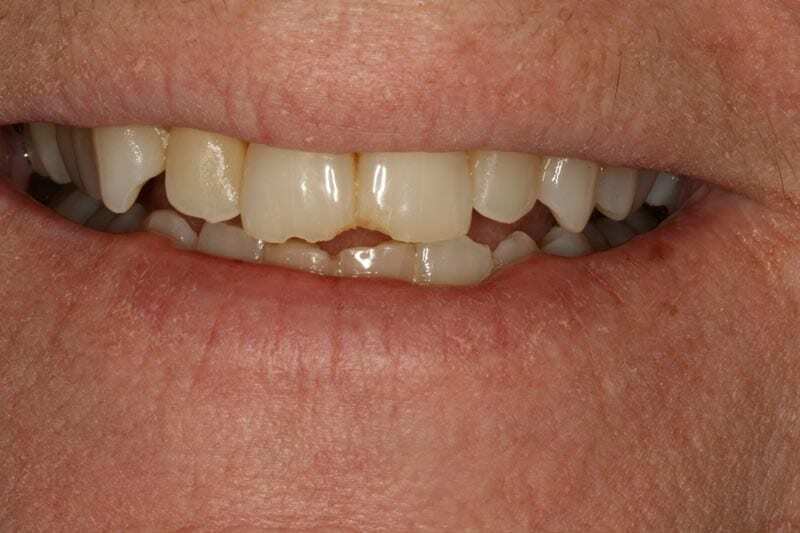 Bridges are a non-removable option for replacing missing teeth. Teeth are prepared on either side of the missing tooth. 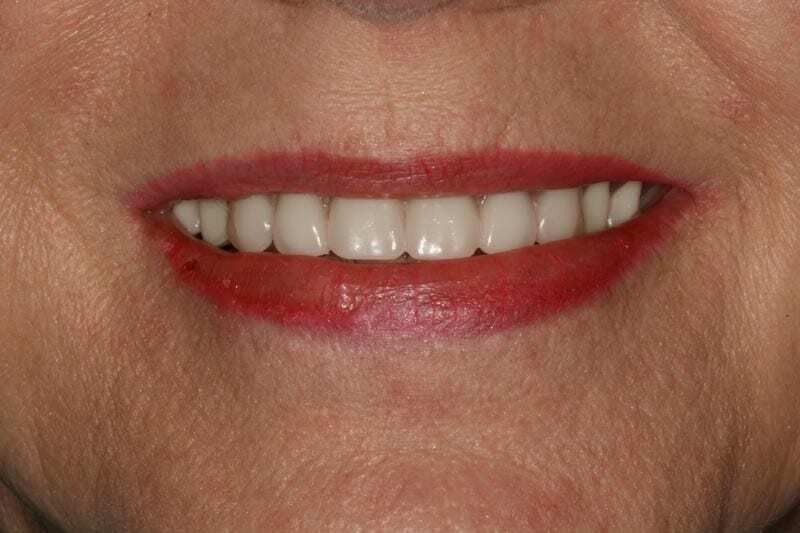 Sometimes implants are not an option and a bridge may be the only solution to a missing tooth or space. In the early 1950′s, a Swedish scientist named Per Ingva Branemark observed that titanium could bond with bone. He termed this process osseointergration. What began as a treatment for people with no teeth and little hope of normal function has now developed to benefit virtually any dental situation, including an anterior tooth replacement. 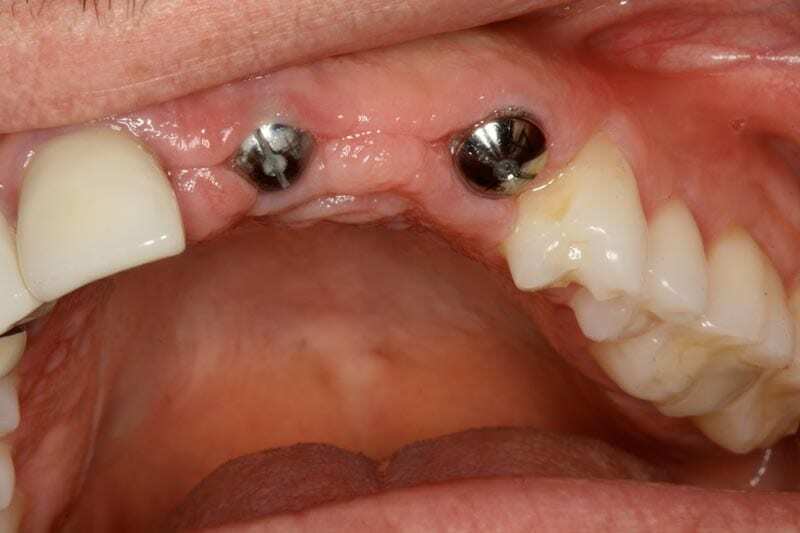 The first step is the placement of the titanium implants by the Periodontist or Oral Surgeon. The implants will remain covers for approximately three to six months. During this time, the Osseointergration should take place. The next step involves uncovering the implants and taking impressions. Finally, the placement of the custom abutments (posts into the implant) and the crown of bridges with will match your natural teeth. TMJ is an abbreviation for the temporomandibular joint. TMJ is not a disease. It is part of your body… the joints on both sides of the lower jaw. This joint hinges, rotates and slides all at the same time. Muscle and joint disorders associated with the jaw are called temporomandibular disorders. All TMD patients can be defined by the TMJ triad, Piper classification of TMJ disorders, Dawson classification of occlusion, or Piper pain classification. For all my patients I complete a diagnosis of the TMJ, based on the Piper Triad. I examine noise, range of opening, load testing, doppler, and panorex films. I refer for an MRI on all joints that do not respond to initial treatments. Treatment for jaw problems correlate to the diagnosis from the Piper triad. Treatment options are medications, splint therapy (mouthguard), bite adjustment, oral surgery, referral for microsurgery of the joint, and physical therapy. The Piper classification of TMJ disorders is used to fully identify the structural abnormalities in both soft tissue and bone of the TMJ. Each TMJ will have a diagnosis of disk position at the medial pole and at the lateral pole. In a normal TMJ there are tight ligaments that bind the disk to the lateral and medial poles. The earliest breakdown occurs at the lateral pole with laxity of the ligaments resulting in an intermittent click – Piper II. A chronic displacement of the lateral pole is a non-painful clicking joint – Piper IIIA, which the majority of patients with clicking joints have. The locking phase of the lateral pole is usually an a symptomatic lock with some reduced opening or locking. This Piper stage IIIB joint is usually quiet. Piper stage IVA involves disk displacement from the medial pole. The joints are likely to develop joint pain because all movements of the jaw load on retrodiskal attachment tissue. Piper IVB is locking at the medial pole, they function on the retrodiskal tissue. This stage can have limited movement and pain. Piper stage VA – perforation with acute displacement arthritis, have very inflamed painful joints, instability, progressive breakdown, and arthritis, which results in bite shifting. Piper Stage VB with chronic displacement have perforations that have adapted bone to bone – rough jaw joint noise are noticed with little pain or bite shifting. Disk displacements that occur at the medial pole are the most problematic to TMD patients. The area anterior and medial to the mandibular condyle carries the greatest blood supply to the condylar head. This blood supply is necessary to maintain growth of the condyle in a child and structural maintenance of the condyle in the adult. The pole, the direction, the degree of displacement of the disk and the level of disk damage account for the volume of the disk into this bad zone. An MRI can only assess this. Soft tissue injury of the disk precedes hard tissue injury of the bone- condyle in most cases. Arthritis, localized arthritis; degeneration and growth deficiencies are bone changes in the jaw joint that occur with displacement of the disk from both lateral and medial poles. The Dawson classification of occlusion relates the posture and condition of the jaw joint to the maximum intercuspation of teeth. Centric Relation is a fully seated condyle and a fully seated disk, which is comfortable to testing. Adapted Centric Posture is a fully seated condyle but the entire disk is not fully seated, but is comfortable to testing. Transitional position is comfortable but is not a fully seated position. When seated, testing is painful. Maximum intercuspation of teeth will displace the condyle away from CR /ACR–in Dawson type 2 and 2A. Dawson type 3 has CR that cannot be confirmed, Dawson type 4 have a changing bite because of progressive arthritis. Pain patterns in TMD patients can be divided into 3 pies of pain, which each contain 3 pieces of pie. The first pie of pain is a result of TMJ injury or breakdown. Its 3 pieces of pie include pain of masticatory muscles, the soft tissue internal joint structures and bone. Each piece of pie requires its own separate management. The second pain pie describes pain layers that are independent of the TMJ, however these can also be injured at the same time as the TMJ. They are neurologic, odontogenic/teeth, and cervical-neck. Frequently these pain layers converge with TMJ and pain from one pie may exacerbate pain from the other pie. The third pain pie is pain reactive to sensory afferent source (layers from the other two pies). The pains are not part of the original condition but become more prominent over time. They are fibromyalgia, migraine, and CRPS or RSD. Fibromyalgia syndrome is characterized by aching and pain in the muscles, tendons and joints throughout the body. SRPS/RSD – Reflex Sympathetic Dystrophy is painful entities of the extremities in TMD patients. The face is painful to touch. Teeth are cold sensitive which can be misdiagnosed as a root canal, which will not reduce pain. Fabricating dentures has become a lost art. 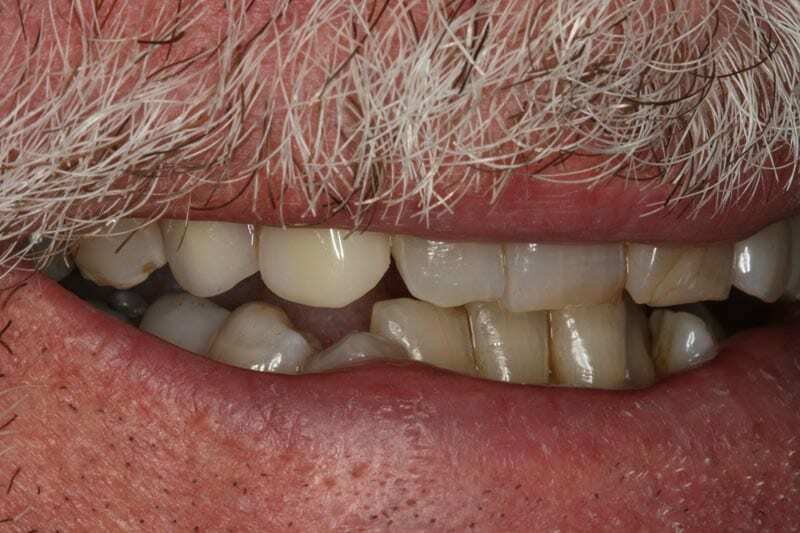 Many clinicians have abandoned the rigors that are required to produce a properly fitting and esthetically pleasing removable denture. 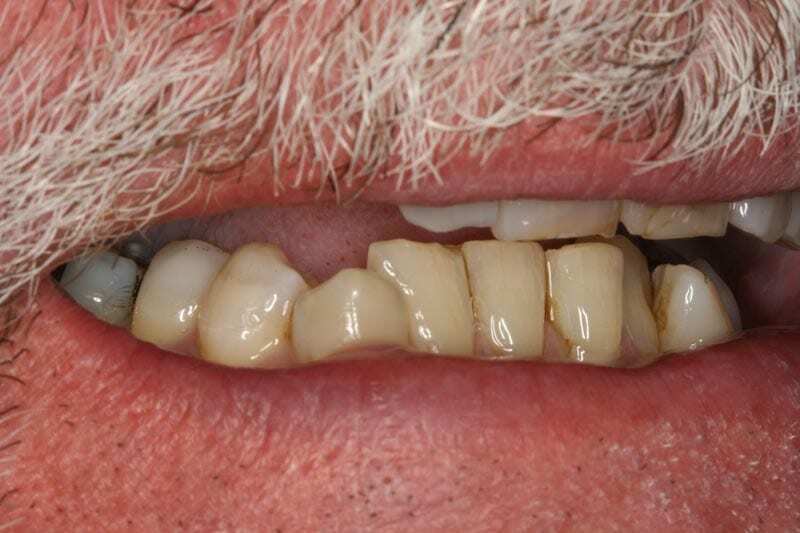 In complete dentures, we have been taught for 100 years to leave the provisionalization step out. We have been taught to take impressions, visualize the outcome, do wax-up try-in and go directly to delivering the denture. This is the reason that dentures are so unpredictable. In my practice, we make every patient a treatment denture. We call this their training wheels. They wear these training wheels until we have proved all of the things we need to prove, such as ensuring proper vertical dimension, esthetics and phonetics. We don’t place any lower posterior teeth on these training dentures. We use a chewing block in the posterior and it’s set up in an occlusion that the Pankey Institute used to refer to as a Tanner Splint. It’s set to lingualized occlusion and acts like a repositioning splint for the condyles. I use Hydrocast, which is a flowable impression material. It flows and forms an impression as the patient chews, talks, and eats. The hydrocast is adjusted for up to two weeks until a beautiful, comfortable impression is taken. We make sure we have the correct vertical dimension, centric relation and then we use the treatment denture as a blueprint. When we finish, we have about a 98 percent success rate – assuming we make it through the treatment denture. If we can’t make it through the treatment denture, we can discontinue treatment. The patient pays two fees: one for the treatment denture and one for the final denture. 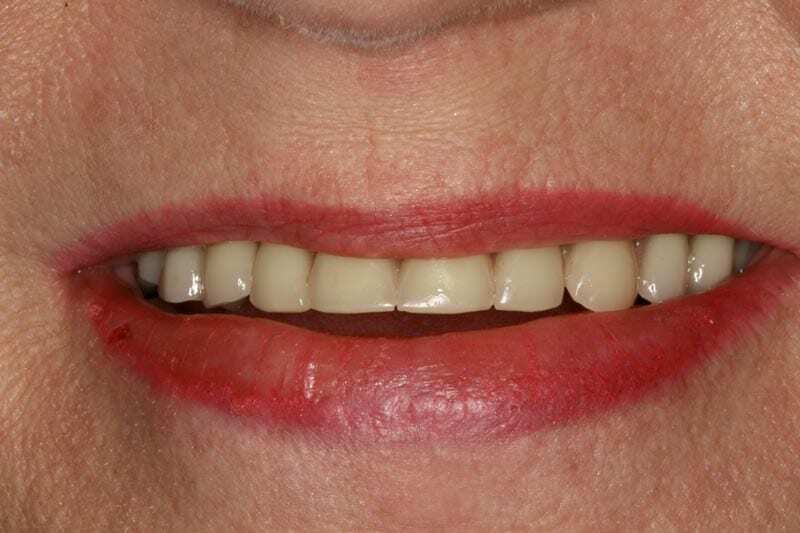 You must recognize that denture occlusion has no anterior contact. The front teeth don’t touch, because if they do, the premaxilla will be destroyed and there will be a big roll of flab across the front of the upper jaw. If the patient opts for implants, the clear duplicates of the treatment dentures become stents for the surgeon, and after the surgeon finishes with them we make impression trays with them. The impression tray exterior shows exactly where the teeth go, what the vertical dimension is and centric relation. Tooth whitening is a well-established procedure in cosmetic dentistry. Furthermore, carbamide peroxide, the active ingredient, has been safely used for many years in the treatment of gums and other oral soft tissue. The whitening process is effective on most discolored teeth. Darker stains, such as those caused by antibiotics may take longer to respond to treatment. The degree of whiteness will vary from patient to patient, depending on the structure of the teeth, number of applications, or the duration of time that the system is used. There are many causes. The most common include aging, consumption of staining substances (coffee, tea, colas, tobacco), trauma, nerve degeneration, and old restorations. 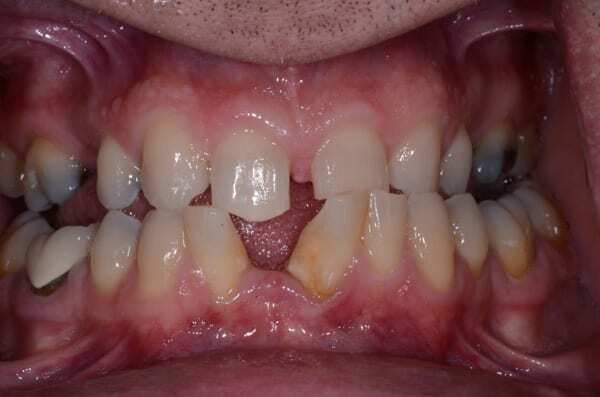 During tooth formation, consumption of tetracycline or excessive fluoride may also cause tooth discoloration. The teeth will always be lighter than they once were. However, some patients may need a tooth whitening “touch-up” for 1-2 days, once or twice a year. In order to maintain the whitest tooth shade possible, it is best to avoid substances like coffee, tea, red wine and tobacco. Results are usually seen after the first application. Maximum results generally occur when the process is continued for 10-14 days for custom tray kits. Do you have an in-office whitening system? YES! The newest method of whitening is our LumaArch system. With this system the peroxide solution is applied to the teeth and activated by a special ultraviolet light. This process takes 2-3, eight-minute cycles to achieve maximum results. YES! The difference is they can be acquired over the counter, and the solution is a weaker concentration. It takes about 21 days to acquire a color change of one or two shades. Braces for a short time – smiles for a lifetime! Breakdown or wear of teeth is usually related to teeth being in the wrong position. To restore a smile, braces may be needed. Today, invisalign offers a cosmetic solution (photo). As well as many local orthodontists. Periodontists (gum specialists) are an integral part of the dental team. Implants are placed by the periodontists. Today, teeth are extracted by the periodontist to prepare for future implants. Cosmetic contouring of the gum tissue, by the periodontist, is an important part of a beautiful smile. Controlling gum disease and maintaining your teeth is another important service that the periodontists provide. Often, there is a correlation of increased gum disease and root exposures, requiring graphs, and TMD/bite problems. The health of your gums and mouth are related to the health of your heart and general health. Endodontics, also called root canal therapy, is the area of dentistry that focuses on the diagnosis and treatment of the diseased dental pulp. The pulp is the small amount of soft tissue containing minute nerves and blood vessels within the tooth. During initial tooth development the pulp is responsible for the formation and growth of the hard part of the tooth. After the crown and root(s) of the tooth have matured, the pulp tissue remains locked inside the tooth in a small root canal space. During a lifetime, the pulp may become diseased due to a variety of reasons (decay, trauma, deep fillings, cracks). The inflamed pulp can quickly cause pain and even infection of the surrounding bone and soft tissue. Elimination of the diseased pulp can be accomplished in two ways: saving the tooth by performing endodontic therapy, or extracting the tooth. Retaining the tooth prevents the loss of function (chewing ability), movement of adjacent teeth and unwanted cosmetic changes. Root canal treatment can be very predictable and enjoys over a 95% success rate. Endodontics specializes in this area of dentistry exclusively and their practice is designed to optimize the likelihood of success. If you choose endodontic treatment, the endodontist will provide you with outstanding care and support. Prior to treatment, they will routinely administer local anesthetics, which will insure your comfort while the diseased pulp tissue is being removed. They will then thoroughly clean and shape the root canal space and seal this space with a root canal filling. They can usually accomplish this procedure in one or two visits. After they have completed your treatment, they will a report to us, and you will be advised to return to us to have a permanent filling, post & core and crown placed on your tooth. The use of operating microscopes and enhanced vision with magnifying telescopes has made it possible for the endodontist to correct problems that may have previously been difficult or impossible to detect, resulting in better diagnosis and more predictable treatment. I work with several Root Canal Specialists, who provide excellent care. Oral Surgeons are integral members of the dental team. Oral Surgeons place implants to replace teeth. They extract teeth to help give you future implant options. Oral Surgeons extract wisdom teeth. Today we recommend early evaluation of wisdom teeth for better healing. We refer all oral concerns to the oral surgeon for a consultation. Complicated jaw surgery for braces or orthognathic surgery is performed by oral surgeons. TMJ surgery consults are referred to the Oral Surgeons. Dr. Bart F. Blaeser, D.M.D., M.D. Dr. Melissa Lackey, D.M.D., M.D. Dr. Lawrence J. Monaldo, D.D.S. P.C. Dr. Flora E. Ocampo, D.D.S. 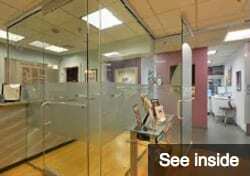 Lowell Oral Surgery Associates, Inc.
Dr. Jeffrey D. Stone, D.M.D., M.D. Dr. Thomas A. Trowbridge, D.D.S., M.D. Dr. Amy D. Field, D.M.D. Dr. Mark A. Piper, M.D., D.M.D.